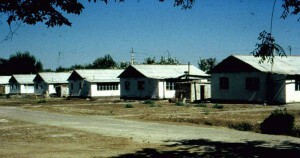 The leprosarium at Krantau, Uzbekistan. In 1996 these mud huts housed 105 patients. 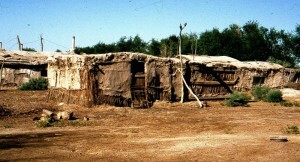 In 2004 the mud huts were replaced by brick buildings. At this stage, 90 patients were resident.